Since when does average Deuchars and one other whose name I've forgotten get you into the GBG? Like the Coach & Horses round the corner, decent enough in its way but there are much better pubs not far away. I found this place to be very theatre orientated and to be honest I don't get why it's in the GBG 2013...what am I missing ? There were just 2 ales on offer, the doom bar I had was good. 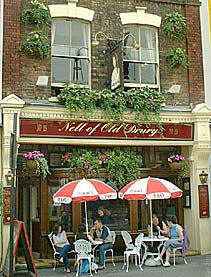 Small inside, the whole place is pleasant enough but I've been in much better pubs in the area. Being able to see the "famous" tunnel that apparently exists would have been good but instead I was left with a unfulfilled feeling. 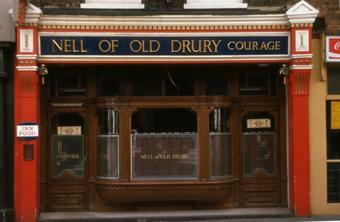 A truly awful Covent Garden boozer. Surly landlord. 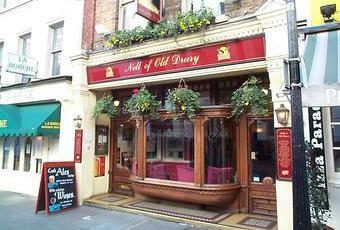 Badly-kept beer : the pint of Old Hooky which I ordered was nothing short of undrinkable. Landlord refused to listen to my protestations. Shame on you landlord. Beer Gutt - this place has traditional opening hours, closed in the afternoons and open again in the evening. Wanted to try this place when I was uptown on Friday. Turned up there about 4pm and place was closed...Please Explain! ! !